Easy to use nacho machine. A great addition for any party. Kids and adults love Nachos! Choose the option that works best for you. Option 1. 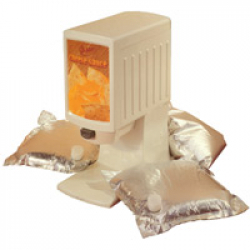 Rent the nacho machine and cheese, each bag of cheese makes approximately 70 servings. You provide the plates, chips and any toppings you want. This is a great option for private parties. Option 2 We provide the nacho machine, cheese, plates and individually portioned chips. Great for larger events, schools and churches. Please allow for one hour for cheese to warm up.